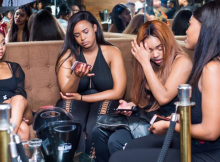 “When a girl has beauty without brains, her private part suffers the most” – that is one the deep lines a South African lady has for “slay queens” as she took to Twitter to blast them without mincing words. She says this category of women don’t have a future plan as they think their “makeup” thingy is going to still be paying the bills for them in the nearest future. Nandi Cakes on Twitter is not having of Slay Queens drama as she took to the platform to heavily blast them.